What does protecting the planet have to do with online project management software? Nothing. The two aren’t even remotely related. At least, that’s what we thought when we launched Intervals in 2006. Us three founders share a mutual passion for technology and the environment. Our love of technology is what brought us together to form a web design and development agency 12 years ago. And our love for the environment has led to company retreats in mountainous and high desert locales. Being both the outdoorsy and techy types, we didn’t think the two should be mutually exclusive. Each time we’d step away from the tech and into the outdoors, we’d find ourselves discussing how we could do more for the environment as a small business, while still staying focused on our flagship product. A year later, after another excursion in the White Mountains of California, we became members of 1% for the Planet. We made a pact with 1% for the Planet, and with our customers, to donate 1% of our revenue to creating a healthy planet. 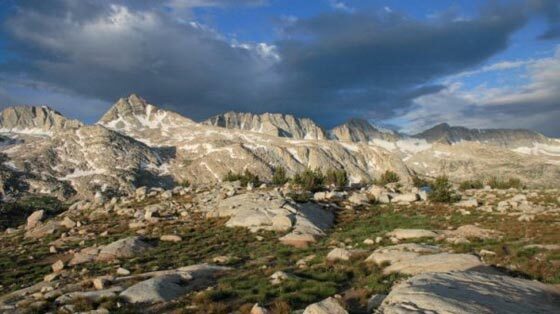 More specifically, we chose to donate this revenue to the Eastern Sierra Land Trust, a group devoted to protecting vital lands in the Eastern Sierra. Our goal was simple, make Intervals a conduit for more then just enabling small businesses to track their time, tasks and projects — enable them to help protect the planet. People treasure the Eastern Sierra Nevada for many reasons — the awesome vistas, the working farms and ranches, the thriving fish and wildlife — reasons that inspire them to want to protect these values for future generations. One percent of every dollar of your Intervals monthly subscription fees go directly to preserving land in the Eastern Sierra — to prolonging the beauty of her lakes, mountains, rivers, streams and meadows, and the enjoyment of biking, fishing, skiing, hiking and backpacking across it all. These donations would not be possible without the support of our customers. Without you, there would be nothing to give. We want to thank all of you for choosing Intervals for your online project management software.More importantly, the Eastern Sierra Land Trust thanks you for furthering their efforts in sustaining this treasured resource. If you happen to find yourself driving along the 395 highway, take a moment to look around and remind yourself you are contributing directly to preserving the land all around you, for generations to come. That is such a nice story. Any company that can encourage clients to really care about more than usual is great.